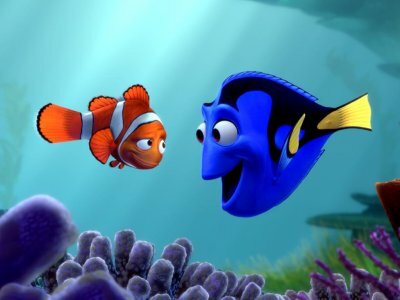 One of Pixar’s most enduring films, 2003’s Finding Nemo, is getting a sequel and a familiar face is returning to direct. Following his foray into live action with the sci-fi epic John Carter Andrew Stanton is returning to the world of animation for the long expected follow up to the film he directed (along with co-director Lee Unkrich) almost ten years ago. Deadline have thrown the story out there and while we wait for official confirmation to come in we have to wonder if the ‘concept the studio loves’ is a wholly different idea that Laurie Craig was working on a few years ago. Rumoured to be a reversal of the original film with Nemo seeking out his father Marlin, I’m hoping that we’ll see something a little more original, set in school perhaps? There is a timelessness which has often been posited as one of the reasons the company from Emeryville does so well and has delighted so many of us over the years but with two more Toy Storys, a prequel to Monsters Inc and a wholly unwarranted Cars follow-up, it does seem that 3D re-releases and revisitations of their most popular films is something we’ll have to get used to.